Although up to this year’s edition of the SEMA Show are a few months, tuners have started to introduce us to the salon atmosphere that will take place between 3 and 6 November in Las Vegas. 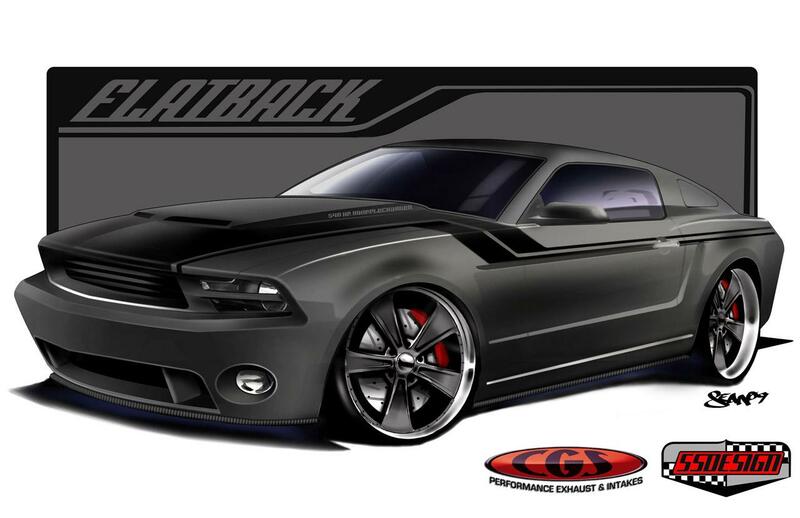 Normally, here we see a lot of Mustang sites, among them the American FlatBack from CGS Motorsports. But this model is not one another, but his presence will be required by threatening, restoration of the outside or only in gray matte and gloss black stickers. And that is not all, because our gaze was reserved and a unique set of rims on 22 inches, from Colorado Custom. That said, we can stop here, because we already have to deal with something scary … But no! If paintjob custom, unique wheels and body kit Roush about now that you mention you have not yet convinced it is time to bring out the heavy artillery: Baer racing brakes, suspension coil over KW and, icing on the cake engine, a compressor Whipple Superchargers. And the package will be complete, the interior was fitted a set of Recaro seats.